The Therapist Select Compact Percussion massager is lightweight and includes two custom attachments to customize your massage experience. 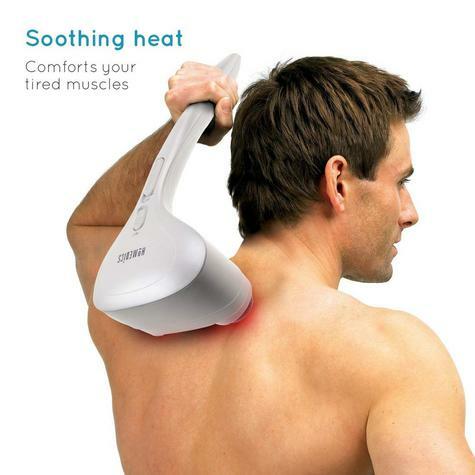 Further relax and enjoy your massage with the added heat feature. 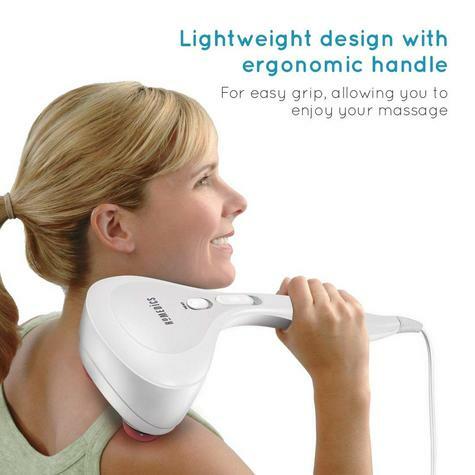 Whether you're looking to sooth tense muscles in your back, shoulders, quads, hamstrings or calves, this handheld percussion massager is the perfect fit.High-intensity massage: Dual pivoting massage heads operate at up to 3,100 pulses per minute. Variable intensity control: Variable 2-speed control allows you to go from relaxing to invigorating massage at the touch of a button. 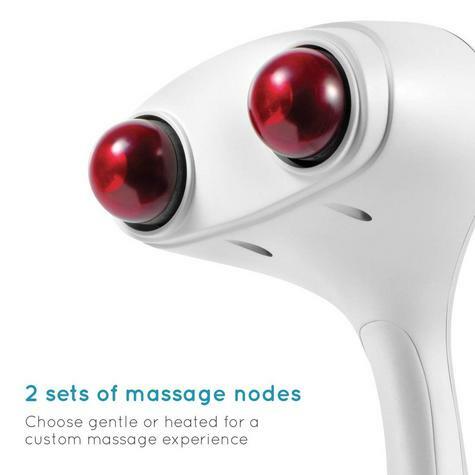 Includes two custom attachments: Swap massage heads and customize your massage experience. 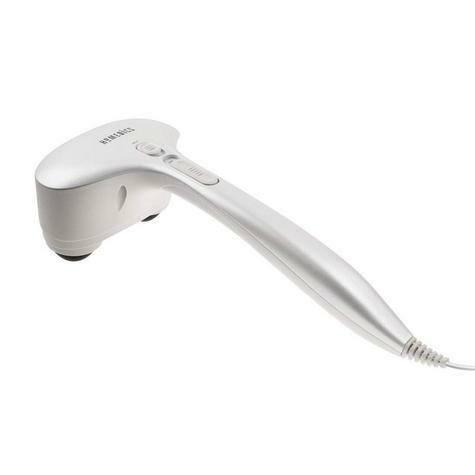 Includes attachments for soft and heated massage applications. Comfortable to use: Lightweight, contoured design that's easy to hold and use. An extra-long power cord gives you increased mobility. Optional heat feature: For an even more powerful experience. The ultimate stress buster in the palm of your hand. The new HoMedics Compact Percussion Handheld Massager with heat is a must-have addition to any household. Packed full of percussion power yet, compact and lightweight enough to comfortably deliver a handheld deep tissue massage. 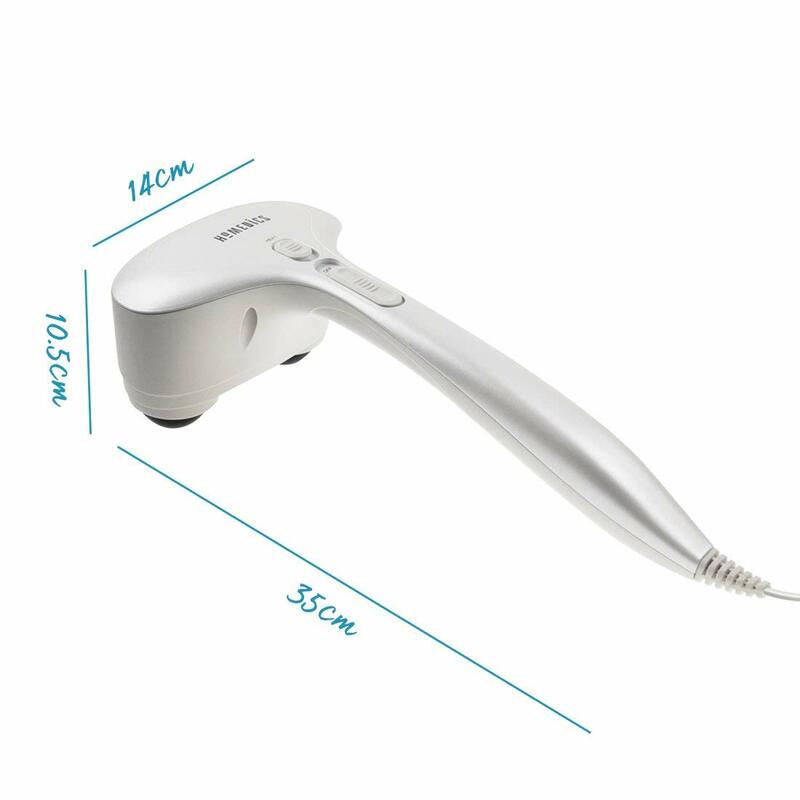 A simple plug in, switch on and chill out device that really hits that spot of tense and aching muscle that you never got round to treating – until now. 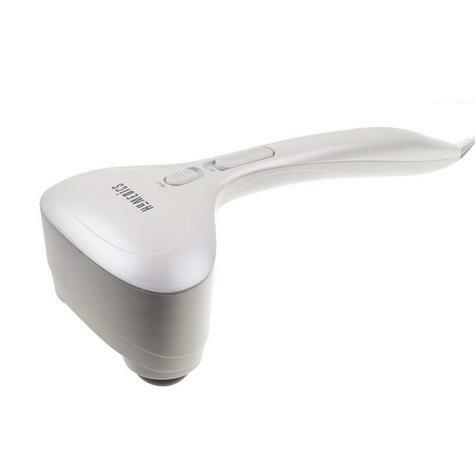 There’s no strain reaching aches and pains with a handheld massager, thanks to the lengthened handle and comfortable grip. 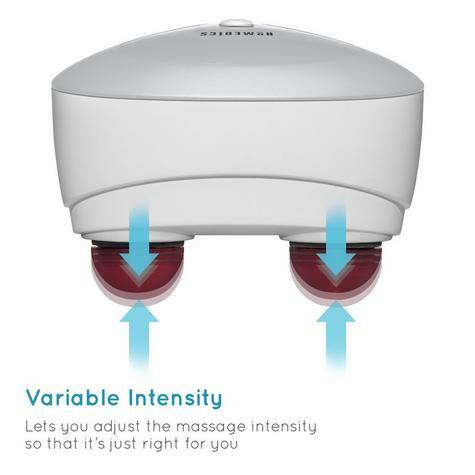 Use the simple switch to control the intensity of your massage and run the massager over your back, legs, arms and buttocks for a full body massage. 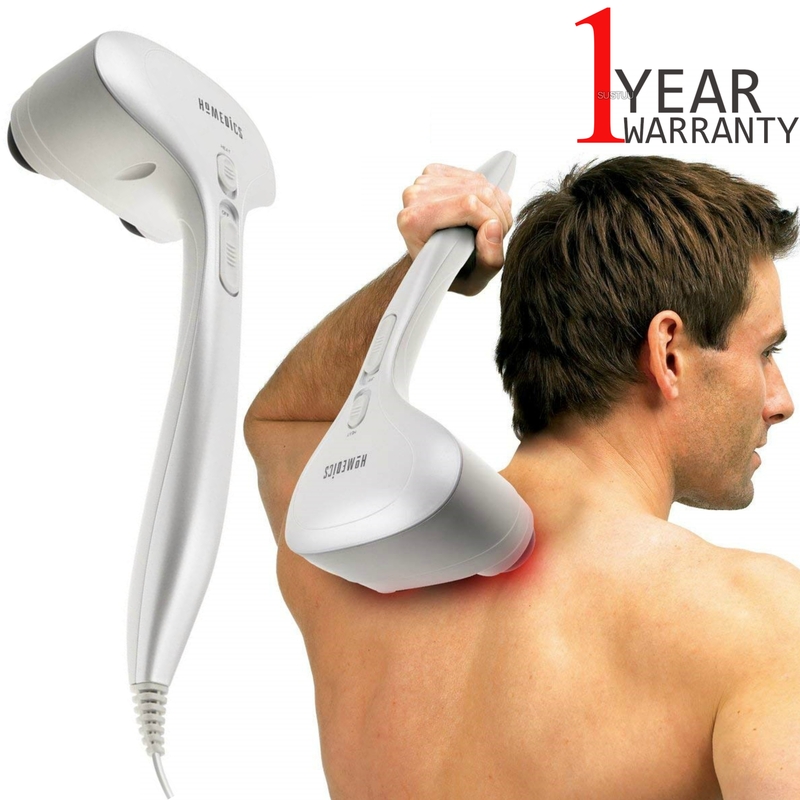 For more sensitive areas, you can attach the soft nodes for a lighter massage that still provides relief for stiff tendons, a good option for treating near the spine and across the shoulder blades. If you’re ready to crank up the heat, then switch to the heated nodes for a massage that warms deeply into tired and aching muscles. The interchangeable nodes and variable speed control means you can really personalise your massage to treat multiple areas of the body. Buy with Confidence from a HoMedics Authorised Dealer and All Purchases come with a VAT Receipt.